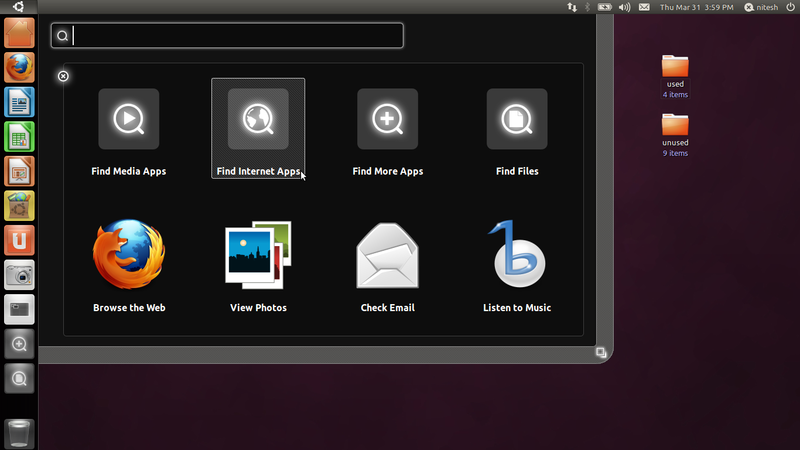 Ubuntu 11.04 Beta 1 has been released today and iso images are now available to download. 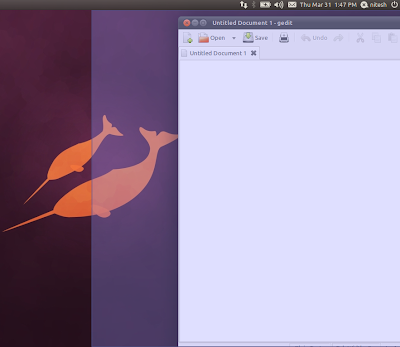 Ubuntu 11.04, is coming up with an entirely new shell for Gnome desktop - Unity, which was default for netbook edition in Ubuntu 10.10 and was based on Mutter. However, Unity has been ported to Compiz from mutter. 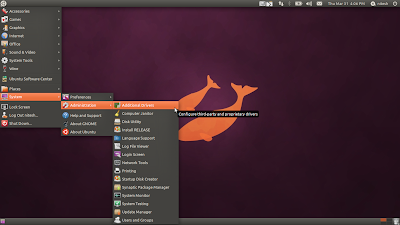 Classic Gnome Desktop will also be available in Ubuntu 11.04 but will not be default and users can switch to it from login screen. Netbook Edition of Ubuntu has been merged and now there is no 'Ubuntu Desktop Edition' or 'Ubuntu Netbook Edition'. 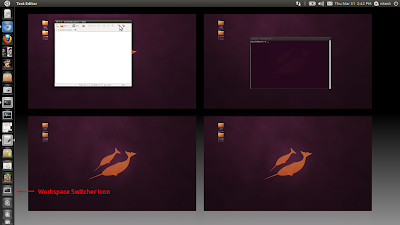 Ubuntu's Unity interface will automatically detect netbooks and small screen devices and will adjust settings accordingly. 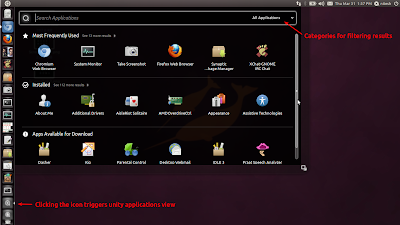 There is also Unity-2D for devices/netbooks not capable of 3D hardware acceleration. Unity-2D is based on qt/qml framework and aimed at providing a faster and smoother experience on devices sans 3D acceleration support. 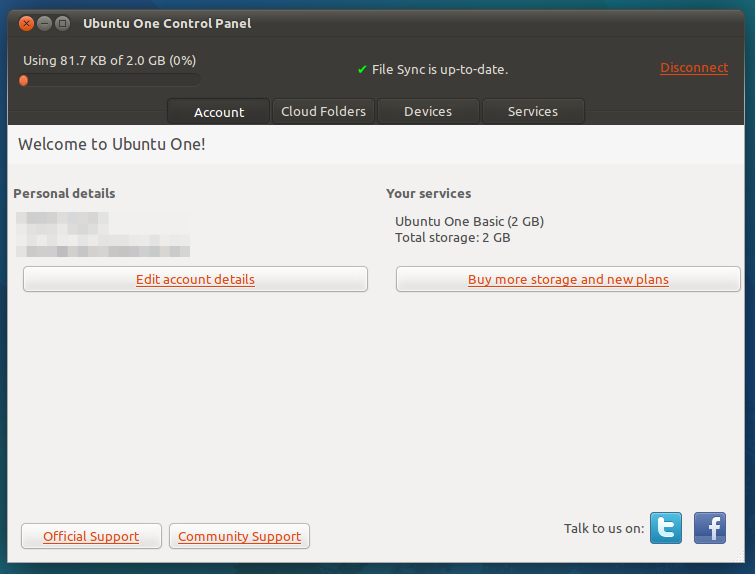 Also, Ubuntu 11.04 is not based on Gnome 3 stack but on 2.32.1. Gnome Shell will not be provided as an option for default Ubuntu interface but it will be installable either from a PPA or from Ubuntu repositories. 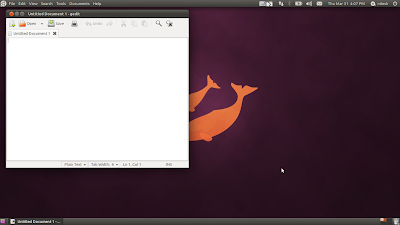 This was brief introduction to what is coming in Ubuntu 11.04, now some highlights of beta 1. Ubuntu 11.04 beta 1 comes with kernel 2.6.38, Gnome 2.32 stack, Compiz 0.9.4 and Xserver 1.10. 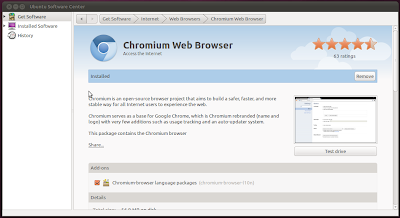 Both open source and proprietary graphic drivers for Nvidia available. ATI cards have only opensource drivers support at the moment but proprietary catalyst drivers will land soon in daily builds. 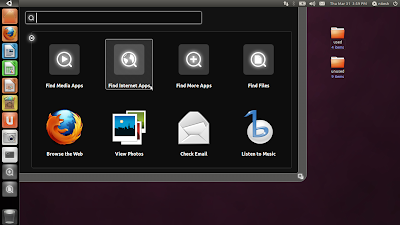 If you have used Ubuntu 10.10 Netbook Edition interface, you will be familiar with Unity. 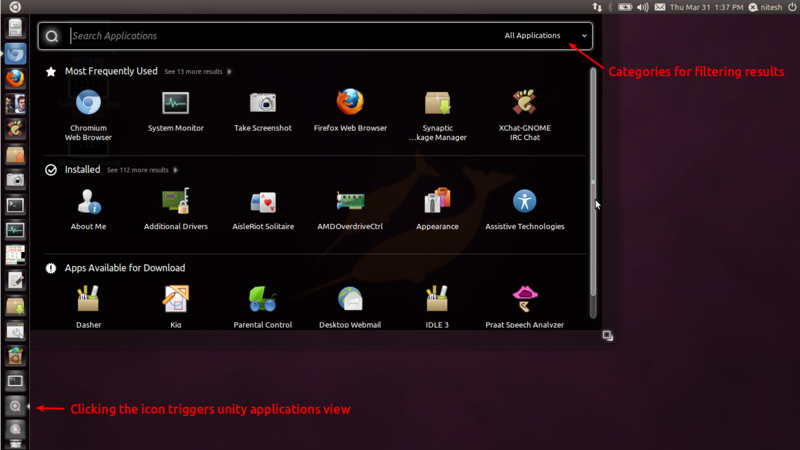 Unity interface is made of a launcher on the left where active application windows, pinned application shortcuts and unity-places are shown. 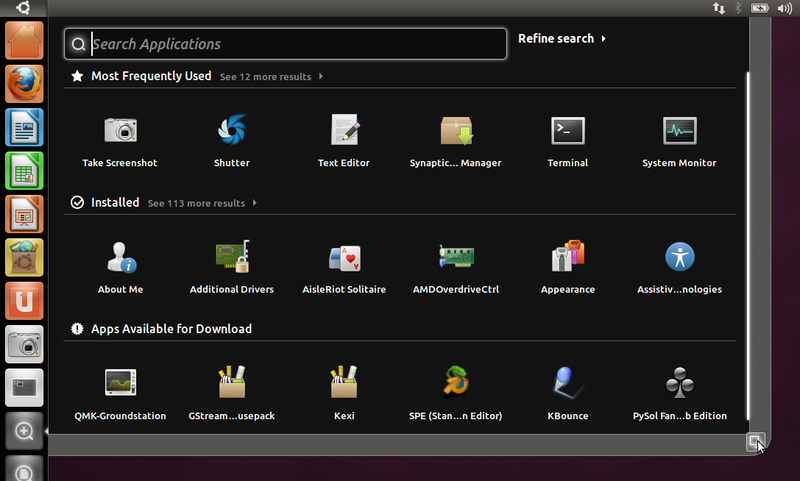 On the top left corner there is an Ubuntu icon that shows dash menu with shortcuts. The panel on top is not customizable and movable and on the right, all the app-indicators stack up. 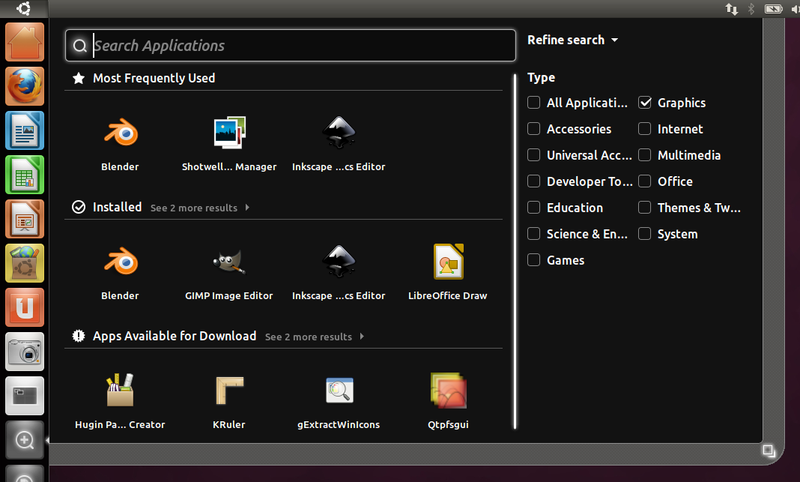 Unity launcher also supports quick-lists and some applications like Gwibber, Shutter, Take Screenshot etc. 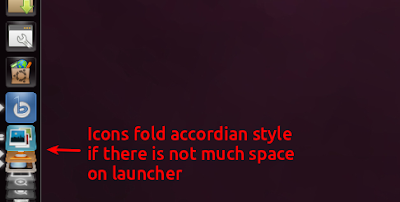 are already using them. 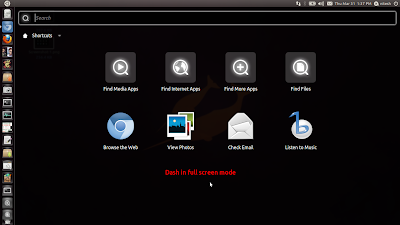 The dash menu appears once you click Ubuntu icon on top left corner of the screen. The menu contains broadly categorized shortcuts that take you deeper into applications and folders. 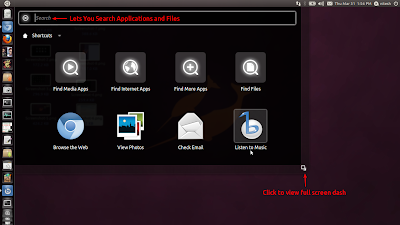 You can also search in dash menu for files, folders and applications. 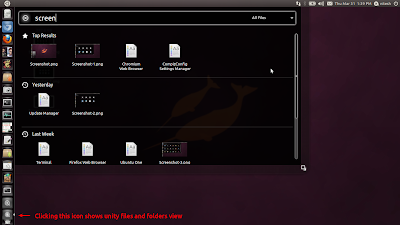 Unity-Places for files and applications are quick access launchers for applications and files. Both these places support quick-lists that directly takes you to a particular category. Results are neatly categorized under various headings and can be filtered. 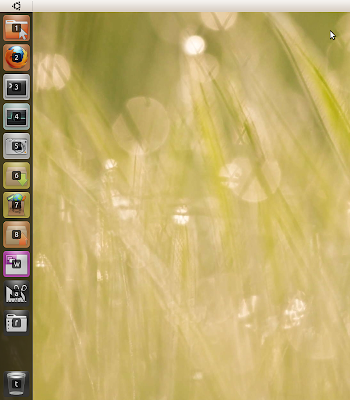 Similar to the dash, these places can be turned into fullscreen view by clicking on grab handle. 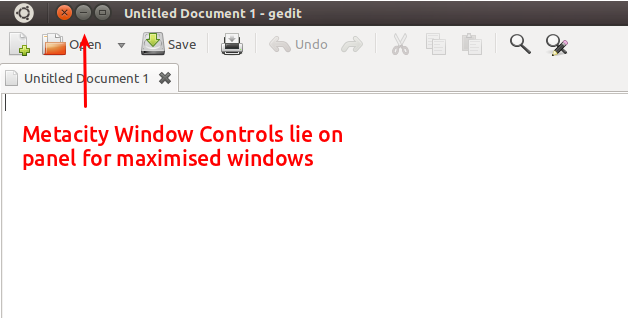 There is also a work-space switcher icon that lets you to quickly drag your windows to different work-spaces and switch to them. Application menus are shown on panel and are only visible if you hover pointer on the panel. I personally don't like this effect as this is confusing, specially for new users though it is minimal. 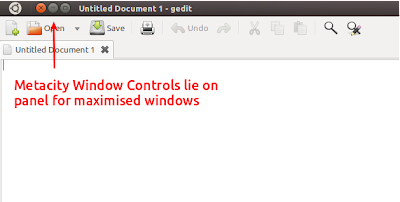 Window controls for maximized applications also remain on panel. What I like the most in these shortcuts and in entire Unity interface is ALT+F2 combo. 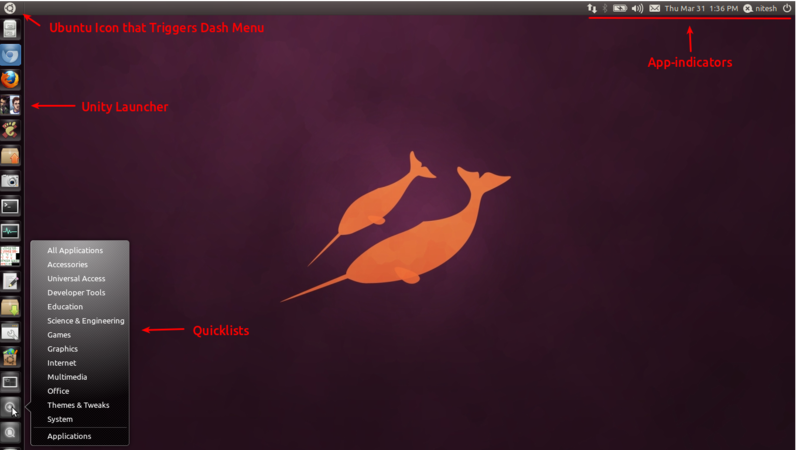 This key-combo lets you run command from a dash menu. 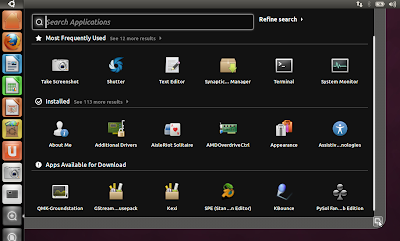 Relevant results are shown as you type and all your past commands are stored for quick access. This key-combo is enough for me and I rarely use dash menu and unity-places-applications view. As far as indicators on panel are concerned, network manager now has an app-indicator, there is new entrant - Ubuntu One in messaging menu, sound menu has now playlist support and you can already use this feature with Banshee, time and date indicator shows Evolution events/appointments etc. 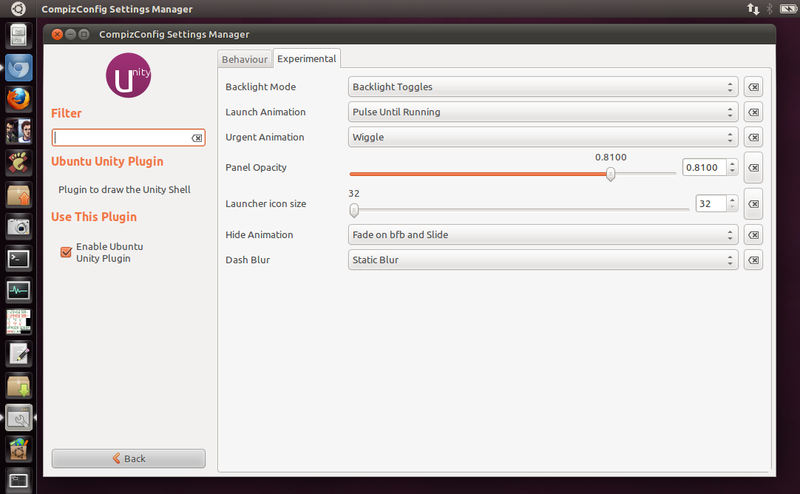 Unity-2D, is for low end systems and netbooks not capable of hardware acceleration. 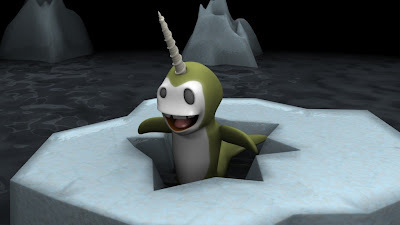 There is no change in interface of Unity-2D from 3D version but it is more snappier. On the other side though, without 3D effects, blur and transparency, Unity-2D is a Plain Jane. 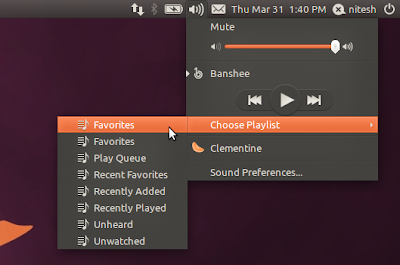 If you don't like Unity, you can always switch to Classic Gnome Desktop. 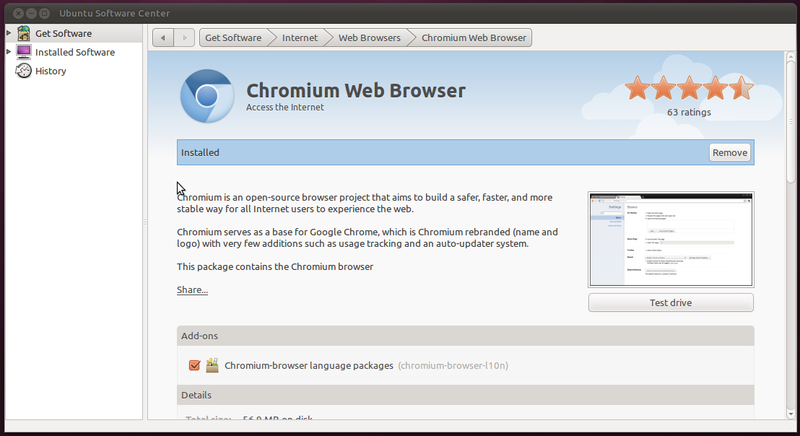 There are some minor changes like appmenu is enabled by default and the main menu has been unified. 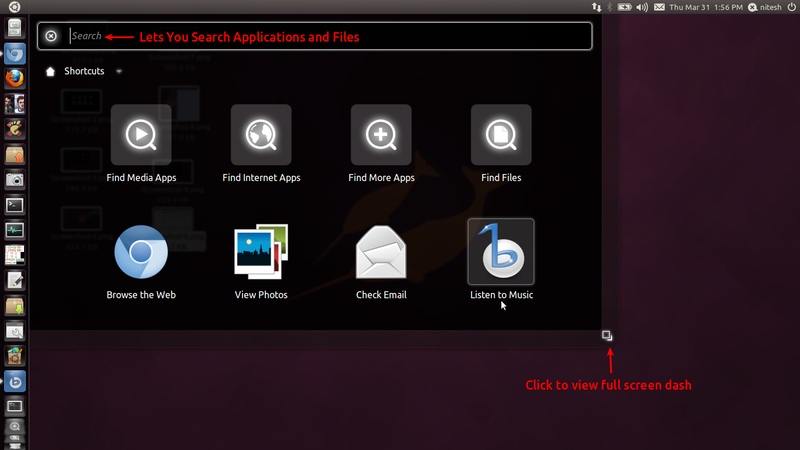 Ubuntu 11.04 interface actually feels quite streamlined and you can access most of the stuff in couple of clicks. Some beliefs that Unity makes you to click more for finding even little things is not entirely true. 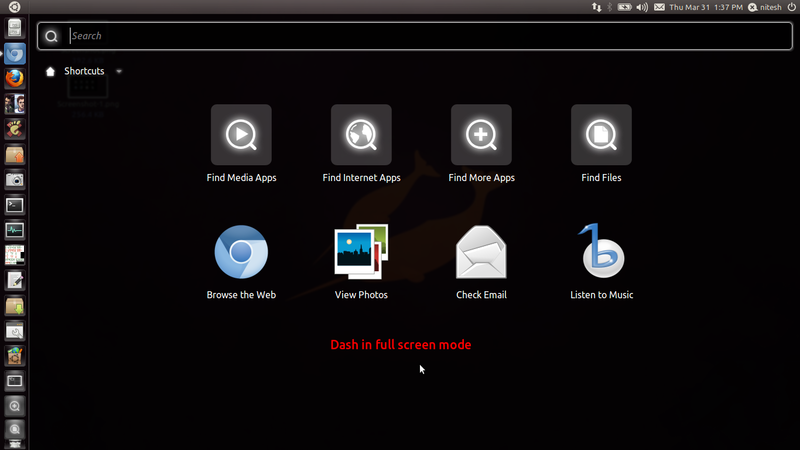 In fact the Zeitgeist powered search feature, dash menu and keyboard shortcuts give you faster way of accessing everything. But this does not mean that there are not issues. There are some annoying problems which I feel could have been better. 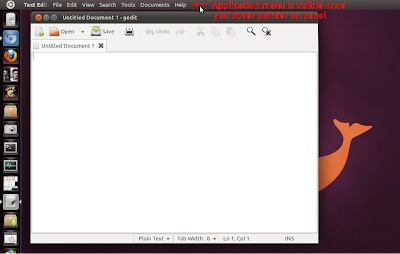 The global menu on panel is not visible by default. 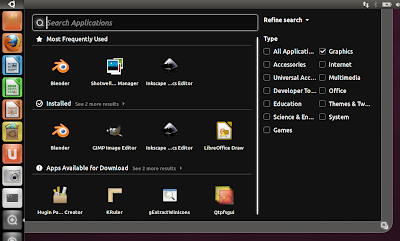 Active applications icons get folded and go all the way down in unity launcher if you have too many applications open or have too many pinned apps at the same time and you have to dig through a bunch of folded icons. 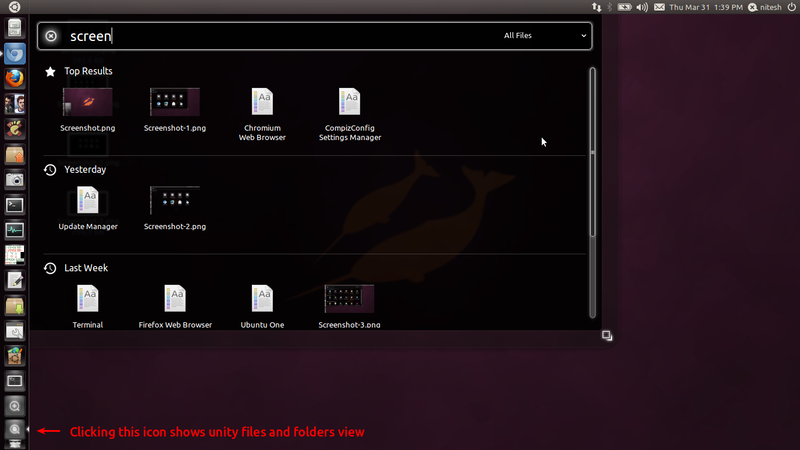 Custom launchers pinned on Unity launcher do not work correctly and you cannot move unity-places icons on the launcher. Ubuntu 11.04 is still in beta stage so don't use it for production purposes. 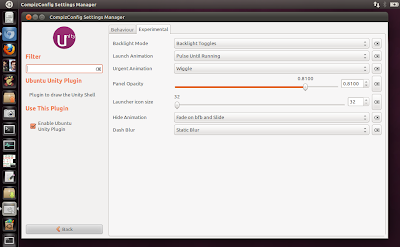 Stability wise, beta 1 is quite stable without any major problems but this depends on how you use it. I have been doing all kinds of stuff like compiling software, playing and testing native 3D as well as Windows games under wine, doing office work, running Blender and installing lots of apps and strange libraries not available in software center but there are no issues other than occasional crashes and a compiz memory leak that makes me to logout every 4-5 hours. So If you upgrade to Natty you will not get a broken system but not a fully stable either. The best way would be to install Natty on a spare system if you have any or try it in Live mode and then decide to upgrade or not to upgrade.